Is the government secretly planning to put taxpayers on the hook to build the world’s biggest new thermal coal mine? It is refusing to rule it out. 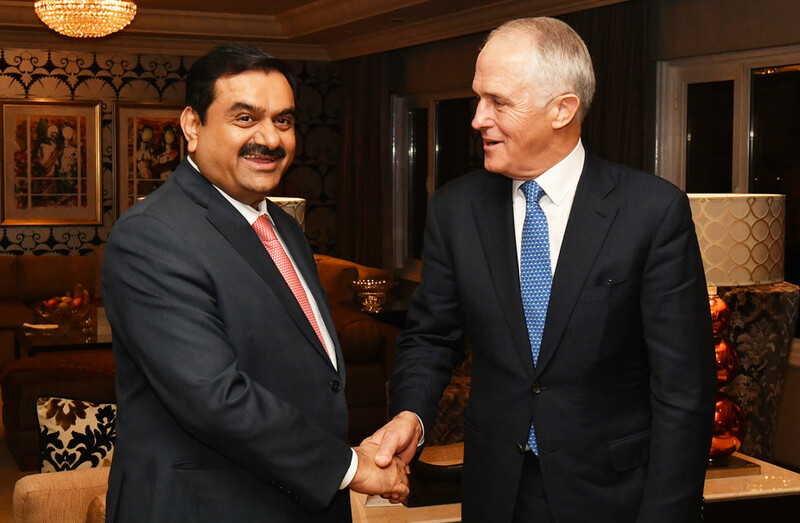 Until now, speculation has centred on a $1 billion discount loan from the Northern Australia Infrastructure Facility (NAIF) to Indian billionaire Gautam Adani to build a rail line from the Galilee Basin to Abbot Point on the Queensland coast. This is a “cart before the horse” proposition however. There can be no rail line without a mining project, and Adani is yet to attract project finance from commercial banks to build its mine. A new report by the Australian Conservation Foundation notes that a number of approaches were made to the Federal Government and its credit agency, Export Finance and Insurance Corporation (EFIC), asking whether the agency was considering supporting the Carmichael thermal coal project. Already EFIC has a team working within NAIF on project evaluation. 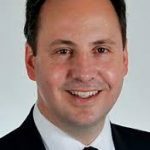 Detailed questions were put to Steven Ciobo, the Minister for Trade, Tourism and Investment whose portfolio oversees EFIC, and the Department of Foreign Affairs and Trade (DFAT). There was no response. EFIC and NAIF were also contacted by this reporter who conducted an investigation for the ACF into the NAIF board. NAIF did not respond at all, EFIC directed questions to NAIF and the DFAT, both of which declined to respond. It is within EFIC’s legal framework to finance export projects – either by guaranteeing or insuring their loans – and Adani Mining, the local offshoot of an Indian conglomerate, is eligible under the EFIC legislation for government assistance. 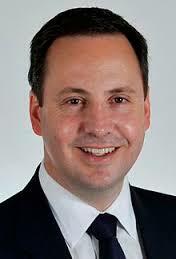 EFIC acts at the instruction of the minister, in this case the Queenslander Stephen Ciobo. Adani Mining is registered in Australia. It is an exporter and EFIC has a track record of financing large fossil fuel projects. The ACF report, Dirty Deeds, Done for Cheap Dirt, notes that EFIC – despite its mandate to support small and medium-sized exporters – has a track record in making sizeable investments in large fossil fuel projects. In 2014, more than three-quarters of the $576.7 million worth of transactions signed by EFIC went to just three parties: a Chilean company that runs the biggest copper mine in the world, a construction giant listed on the Johannesburg Stock Exchange and a billion-dollar Belgian smelting group. Even with the support of EFIC though, Adani requires project finance to develop its Carmichael mine. Adani’s lead banker, Commonwealth Bank, parted ways with Adani in 2015. Due to public pressure from environment groups and the poor financial prospects for the project, Adani has had trouble attracting financial interest from commercial banks internationally. The world market for seaborne thermal coal exports is in decline and India is on target to phase out imports by 2021 so the project does not appear to make commercial sense. Futures prices for Newcastle thermal coal, generally of superior quality to Carmichael coal, languish at $US68 per metric tonne, a level at which the mine is unprofitable. If however, the federal government were to provide loan insurance or loan guarantees to a commercial banking syndicate, the banks themselves might be more inclined to fund Adani. Australian taxpayers however would then be at risk for the estimated $10 billion in project finance. That’s on top of the concessional loan from NAIF, which is yet to be approved, of $1 billion for the rail line. Chief executive of the ACF, Kelly O’Shanassy said yesterday that it was an outrageous idea that, “public money could be put on the line to protect private profit from the Adani coal mine that will help destroy the Reef and Australian tourism jobs”. The report also found the NAIF board is stacked with resource industry directors, past and present. Despite its mandate to invest in a wide range of infrastructure, including communications, transport, airports, water and renewable energy, the board’s expertise is heavily skewed towards mining and coal. Its Investment Mandate is also vague and its operations are shrouded in secrecy compared with other government financiers such as EFIC and the Clean Energy Finance Corporation (CEFC). Yet is has $5 billion of taxpayers’ money at its disposal. 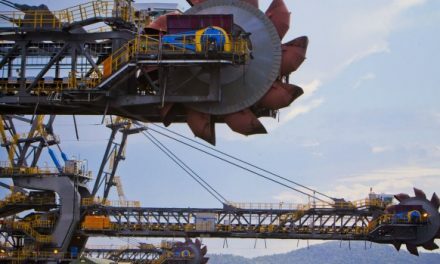 The minister in charge of NAIF is Matt Canavan, Minister for Resources and Northern Australia, who is a vocal advocate for coal-fired power plants and has announced that coal projects are also eligible to be funded by NAIF. Even with the enthusiastic support of both the Federal and Queensland governments, the Carmichael project is highly unpopular. Nonetheless, the project has received an unlimited water licence from the Queensland Government. 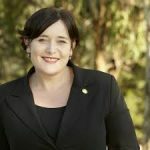 It has also been negotiating with the Queensland Government for a royalties break and announced this week that it would be postponing its final investment decision on Carmichael until the state government provided “clarity” over lower or deferred royalties.